Congratulations to Elena Stover, one of the online satellite tournament champions that will be with us at TKPT St Maarten next week. 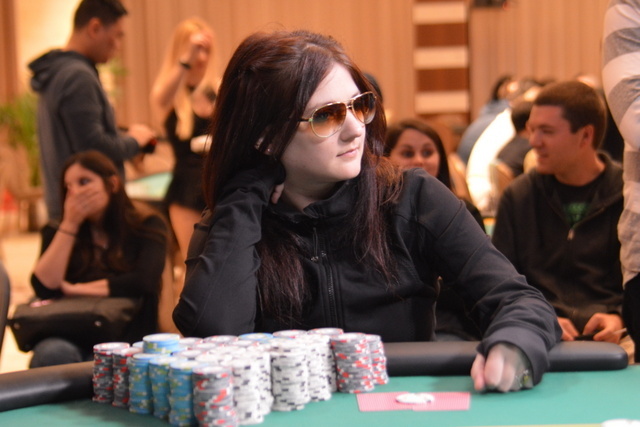 She’s been in Atlantic City this weekend where she placed second in the $1,000,000 GTD ‘Borgata Million’ at the Borgata Spring Poker Open, winning $138,000. Stay-at-home dad Matt Mendez won that tournament, which had 2527 entries, taking home $213,192. Elena put on an impressive performance during the final table and came close to being only the second woman to win a Borgata big guarantee event, hoping to follow in the footsteps of Stephanie Hubbard who won the $500,000 GTD opening event of the 2015 Fall Poker Open last November. At the river the board read T 9 7 A K. Mendez showed Q-10 for a pair of 10s. Stover left herself with only about 6 million when she mucked her hand, surrendering a big pot. It wasn’t long before she was all-in pre-flop holding J-5 against Mendez’s Q-4. Then the flop came Q-8-5 which gave them both a pair. Mendez already had the top pair and when the last two cards were dealt, 2-6, the game was his. This is Elena’s largest reported tournament cash and is nearly triple her accumulated earnings to date. She’s on quite a hot streak with four cashes prior to this in 2016. 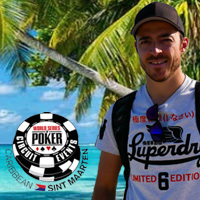 Hopefully this winning streak will continue in St Maarten next week!